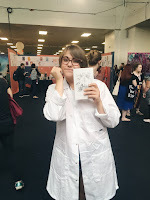 So, on Sunday 29th July I went to my first ever YALC (Young Adult Literature Convention) at Olympia, London. This was an event that I was so excited about! I couldn't wait to meet fellow bloggers, authors and publishers and have a brilliant bookish day. This post will just be me talking about my experience and what I thought about YALC overall. It will probably be quite short as I only went for one day. Did you go to YALC? If so what did you think of it? The journey to YALC wasn't too bad and only took me just over an hour. I decided to get off at West Kensington and walk 10 minutes to Olympia as trains that went direct to the venue weren't very regular. Once I arrived at the venue I was expecting a big queue but to my surprise there wasn't one! I literally went straight in after a little security check. 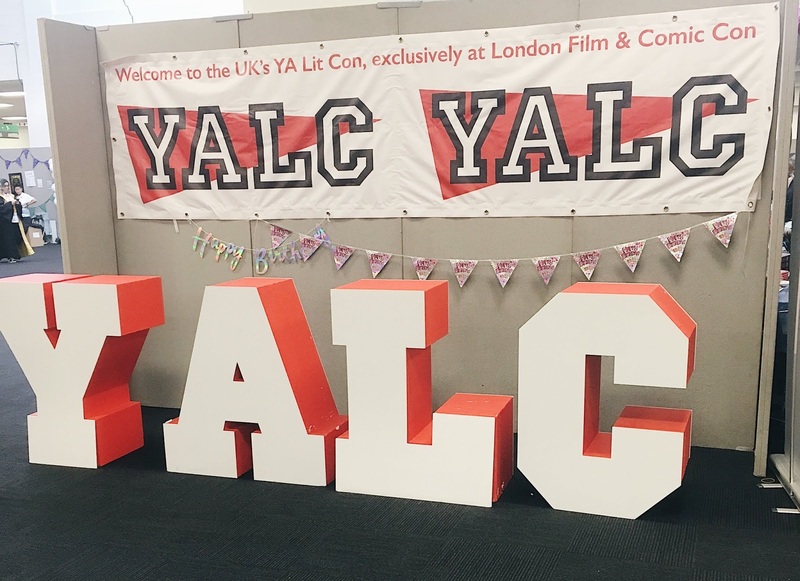 When I got into the room YALC was being held in I was literally blown away! It was a book lover's paradise and I felt like I had died and gone to heaven. 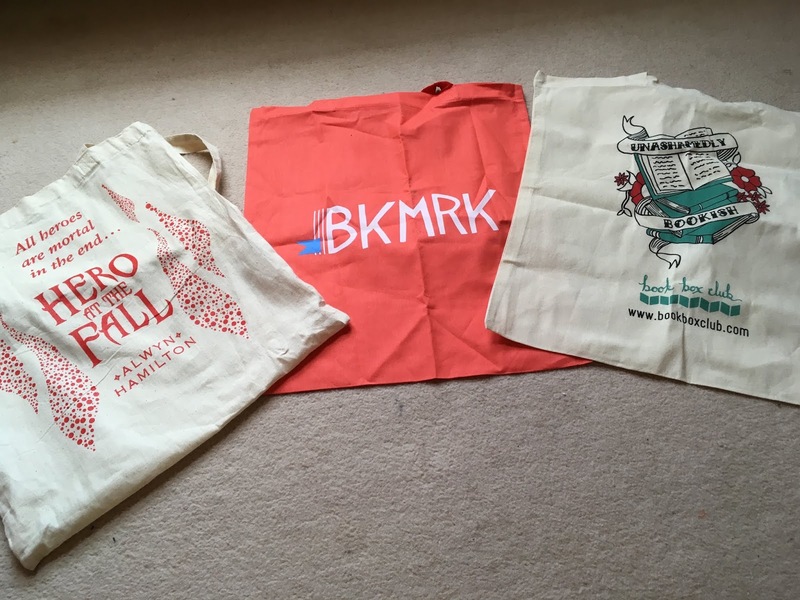 There were so many stalls each run by a different publishing house as well as few run by charities such as CoppaFeel and some bookish merch stalls such as GeekyClean. I took a walk around to get my bearings firstly as I wanted to know where everything was for later in the day. Then it was time to go to the first panel of the day. This panel was 'The Suspense is Killing Me' with authors Elizabeth Klehfoth, Nicci Cloke, Phyllida Shrimpton, S.K. Wright and Tracy Darnton. It was so interesting to hear how these authors write suspenseful novels and what inspires them. I also plucked up the courage to ask them a question about research and I was told it was a great question to ask so that made me mega happy! After the panel I took another walk around and picked up a few books and met one of my favourite booktubers - Ben Alderson. I was too nervous to ask for a selfie though! After that I went to sit down in the chill out area where I met a few bookish twitter friends - Jenni, Michelle and Amy who were so lovely! It was also great to put faces to names! I also bumped into more twitter friends during the day - Sabrina and Kinna who I met at CHCCYAFest back in May. They were also equally as lovely. Book friends are amazing. As a wannabe writer I was really intrigued by the agent sessions happening at YALC and after some persuading I decided to go to one of these and talk to an agent face to face. I basically told them about my novel idea and then asked questions about editing, submitting and what an agent actually does. It was really informative and it's given me confidence to crack on and get my novel polished and sent to agents. 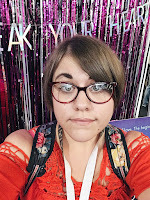 Obviously I met a few authors at YALC and they were Anna Day, Alwyn Hamilton and Will Hill. I would have loved to have met more but I wanted to explore and enjoy my day and not stand around in queues. The queues to meet these authors weren't long at all. Anna Day was such a sweetie! and I was gobsmacked when she said she recognised me from twitter! Both Will and Alwyn were also wonderful people. Will Hill was so chilled out and chatted to me for what felt like forever. It makes you realise how much authors appreciate their readers. 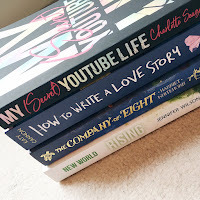 Meeting these authors has also made me realise how much I want to be in their shoes. I better start cracking on with writing.. 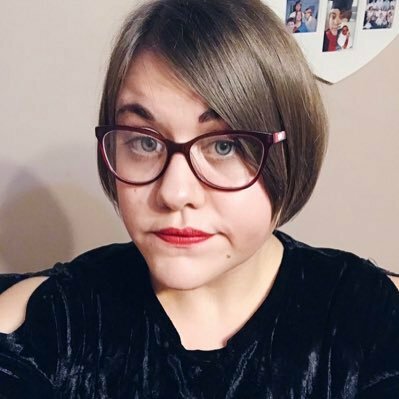 There were a few workshops happening on the day I went but I only decided to sign up to one - a writing workshop with Will Hill and Emily Barr. I LOVED this workshop. It was fascinating to hear how they write and what they do to stay motivated. They gave us a 5 minute writing task to write about our protagonist doing something bad. Mine took a weird turn and turned into my protagonist mugging someone. After our time was up they invited some of us to read our work out loud and I was brave and did it! I got some great feedback from them both and even made them laugh. I'll admit this was probably the highlight of my day. 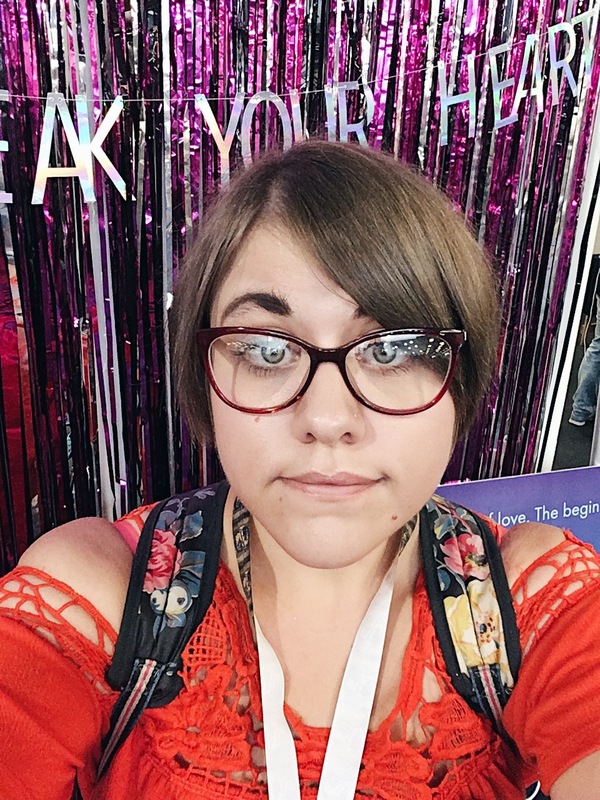 Overall I ADORED YALC and I didn't actually want to leave. The experience was a fantastic one that I am still not over yet. I brought some new books which I am excited to read and got loads of freebies (samplers, bookmarks, tote bags etc). I had no problems at all and everyone I met was lovely and I will definitely be going back next year but for all three days this time. Can't July 2019 come any quicker?? I agree - when an author chats to you, like properly chats, it makes you feel so appreciated.